Predictions for upcoming seasons are laid out each year in the pages of The Old Farmer’s Almanac — charting the sun, moon, tides and past weather records to forecast the year ahead. With that in mind, we’ve done some calculations of our own and gauged the temperature of discussions surrounding farm and food policy for the 2012 Farm Bill. Should the stars align, here are our predictions for topics to anticipate during the farm bill reauthorization process this spring. The national deficit continues to loom overhead and the debate over the 2012 Farm Bill will be dominated like few others this century by deficit pressure. Every section of the legislation will be affected, but by how much we do not know. However, we do know that the deal to increase the debt ceiling means the farm bill will be cut by about $15 to $16 billion as a result of automatic sequestration. These cuts will most likely be the starting point—and not the end point—for final numbers. For conservation, 2012 will be a year when climate and environmental issues establish new trends and challenges. Dramatic weather events in 2011 created highs and lows in American agriculture, and coming years will be no exception. The discussion will focus on how to make conservation programs more efficient while equipping farmers with conservation tools and programs to meet environmental challenges and regulatory burdens. With conservation programs having already contributed more than $2 billion to the nation’s deficit reduction through appropriations cuts, we think the farm bill debate this spring should center on promoting conservation funding without the threat of additional cuts. Conservation programs are too valuable to lose now—and for our future. Caught up in the budget belt-tightening are proposals to alter farm support, or subsidy, programs. For the first time in two decades, it is likely that direct payments will be eliminated. What will replace them is unclear, but the debate is currently focused on the appropriate role of government in helping farmers address risk. We believe that new safety net programs must protect farms from risks they can’t control, while also minimizing the programs’ influence on the economic and environmental behavior of farmers. The debate will be vigorous but we believe it will be critical to creating a farm support system that works effectively for both farmers and consumers. Who Will be Farming and Stewarding the Land? Now more than any time since the end of World War II, it’s important for the nation to have a serious discussion about the generational and gender shifts happening in American agriculture. According to the 2007 U.S. Census of Agriculture, there are more than five times as many farmers at age 65 and older as there are 35 and younger. As the overall farm population ages, the influence of female landowners is predicted to rise.— 70 percent of farmland is expected to change hands in the next 20 years, with women potentially ending up owning most of it. While we face the critical question of how land will be transitioned, at the same time we see the rise of young adults looking to start careers in agriculture but facing challenges securing land and succeeding in farming. 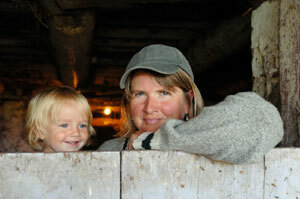 It will be difficult for farm policy leaders to ignore the changing demographics in agriculture. We think changes in land ownership, land stewardship and the engagement of young and beginning farmers in agriculture should be part of the discussion as Congress addresses programs for farmland protection, farm viability, and conservation. Lawmakers will need to look systematically at what rural development policy is supposed to do to help today’s rural America. The 2012 Farm Bill can be a catalyst to help rural America by finding ways to stimulate new market opportunities for agriculture and further support for local and regional food systems. Consumer demand for local food continues to rise, and farm policy can play a critical role in helping farmers provide it. Public health and nutrition, and the intersection with agriculture, is currently at the forefront of national interest. Amid on-going conversations about public health and chronic diseases is a focus on the availability of fresh, healthy food. The connection between healthier diets and agricultural production is very real and easy to see. The demand for healthy food opens markets for agricultural products and potentially helps keep farmers farming. Less clear, but no less important, is the role that public health demands may play in local and regional food systems. The next farm bill presents the opportunity to explore public health while also creating market opportunities for farmers. We think 2012 will be the beginning of a long term trend of a new public health constituent group in the farm bill. 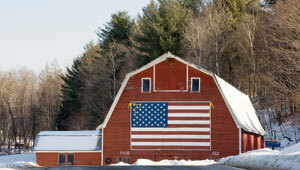 The forecast for the 2012 Farm Bill will take the direction of real forces shaping farm and food policy. As discussions around the 2012 Farm Bill get underway in Washington, we’ll be asking supporters of America’s farms and food to learn more, speak up and be heard. This entry was posted in farm bill, Farmland Protection, Healthy, In the News, Local Farms and Food and tagged Beginning Farmers, conservation, farm bill, farm policy, farm support, Farmland Protection, local food, public health on February 8, 2012 by admin.